It is National Brain Awareness Week from March 16-22nd. In a study done at the University of British Columbia, by 2050 researchers estimate that over 115 million people will have dementia world wide. 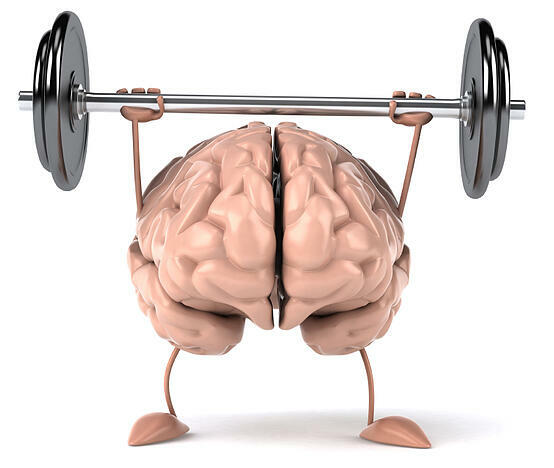 The same study found that regular aerobic exercise can change the brain to improve memory and thinking skills. Exercise plays a vital role in releasing hormones, like serotonin, which boosts your mood; dopamine, which affects attention; and norepinephrine, which influences attention, perception and motivation. Experienced regularly, the continue rush of blood and hormones allows your brain to grow. In one study, researchers scanned the brains of people who exercised for one hour per day, three days a week, for a duration of six months. They discovered an increase in the size of the hippocampus, the part of the brain that controls memory and learning. Working out literally bulked up the study participants' brains, allowing them to perform better at tasks that require concentration and recall. Heidi Godman, Executive Editor of the Harvard Health Letter, writes that "exercise helps memory and thinking through both direct and indirect means. The benefits of exercise come directly from its ability to reduce insulin resistance, reduce inflammation, and stimulate the release of growth factors—chemicals in the brain that affect the health of brain cells, the growth of new blood vessels in the brain, and even the abundance and survival of new brain cells. Indirectly, exercise improves mood and sleep, and reduces stress and anxiety. Problems in these areas frequently cause or contribute to cognitive impairment." People who exercised during their workday were 23% more productive on those days than they were when they didn't exercise, says a recent study from the International Journal of Workplace Health Management. And the majority of the study participants (72%) did aerobic workouts. The study by the University of British Columbia saw the brain improving results from aerobic exercises only as opposed to resistance training, balance and muscle toning exercises. Whether it is a brisk walk a few times a week or a heart pumping group exercise class (Milestone has lots to choose from here), your brain will thank you for your regular sweat sessions!